The Beara Peninsula’s wild Atlantic shore is home to an abundance of unusual botanicals, which is how the idea of Beara Ocean Gin was born. The Atlantic Ocean botanicals that we use in our gin include salt water and sugar kelp, which balance nicely with the freshness of juniper and zesty citrus aromas, while cardamom, angelica and orris root add to the complexity. The result is a unique blend of native sea flora with traditional gin botanicals for an altogether enjoyable and easy-drinking spirit. 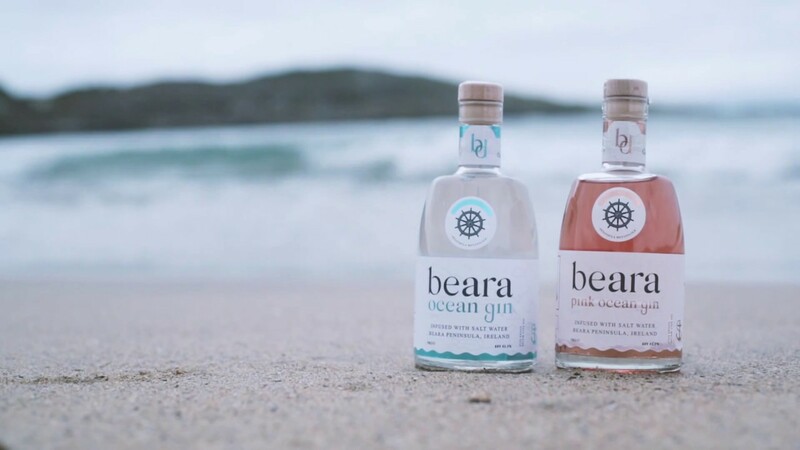 Beara Pink Ocean Gin was originally launched in February 2018 for Valentine’s Day as a limited edition release. However, due to its popularity, we decided to include it as a permanent addition to our product range.